Now this classroom was just one particular type, a kind of shabby chic, funky, yard-sale mix, but it represented something bigger, a tear in the fabric of how we’ve always done things. It was one example of the way flexible seating and more student-centered classroom design have taken off everywhere, with more teachers breaking away from traditional classroom layouts and finding new ways to make their rooms more conducive to 21st-century learning, where collaboration, personalization, and project-based instruction are becoming the norm. When I shared it on my website, most people went nuts, but some were discouraged: They loved the room, but there was no way they’d ever be able to recreate it in their school, with small spaces, big class rosters, limited budgets, and strict fire codes. They believed that to create these incredible learning environments, they would need tons of money and big, modern spaces to work with. The good news is that the principles of learning-friendly design can still be applied without those things. There are plenty of changes you can make to your classroom—without a lot of money or space—to make it a much better place for students to learn. To get some expert help on this topic, I talked to Bob Dillon, a former middle school principal who now works as a director of innovation for a St. Louis-area school district. 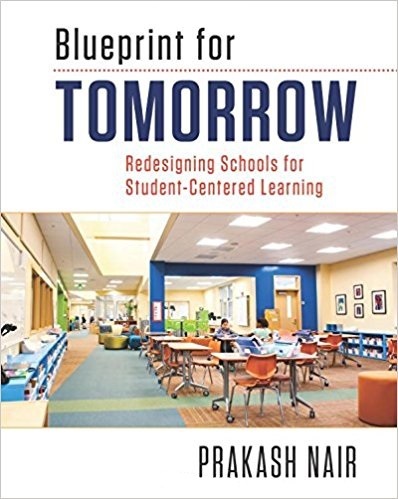 He’s done a lot of work on transforming learning spaces, and most recently he co-authored a book on this topic with designer and educator Rebecca Hare. 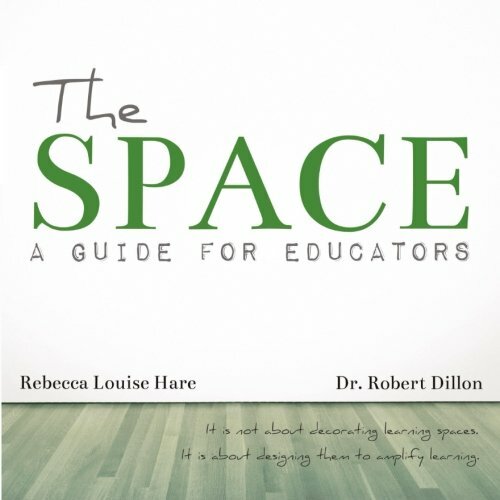 The book is called The Space: A Guide for Educators. 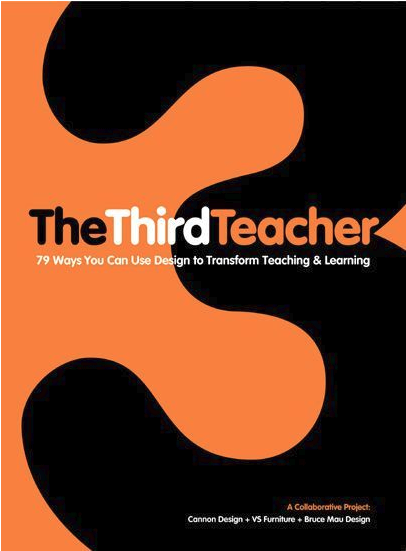 In our interview, Bob and I talk about some of the design problems he sees most often in classrooms today, the things teachers can do to make their rooms more learner-friendly, and how to overcome some common hurdles teachers often experience when redesigning classrooms. 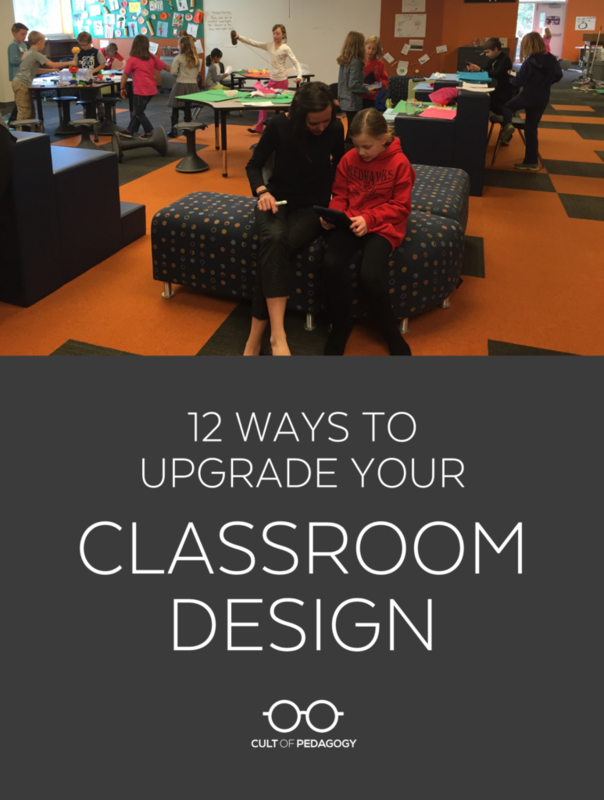 Our conversation is condensed here into 12 specific things you can do to make your classroom a better space for learners. Students are the best source of information about what needs to change in our classrooms. Dillon advises us to ask them two questions. First, What’s new in the room? and second, What in this room supports your learning, and what gets in the way of it? Having students audit the room this way will help us see it differently. Less visual clutter creates a space where students can focus. Photo courtesy of Robert Dillon. Flexible seating doesn’t have to mean new furniture, hokki stools, and bean bags. Using the furniture you have right now, you can still create different seating options and give students choice. One great example of repurposing what you have is Kelly Almer’s 5th grade classroom. 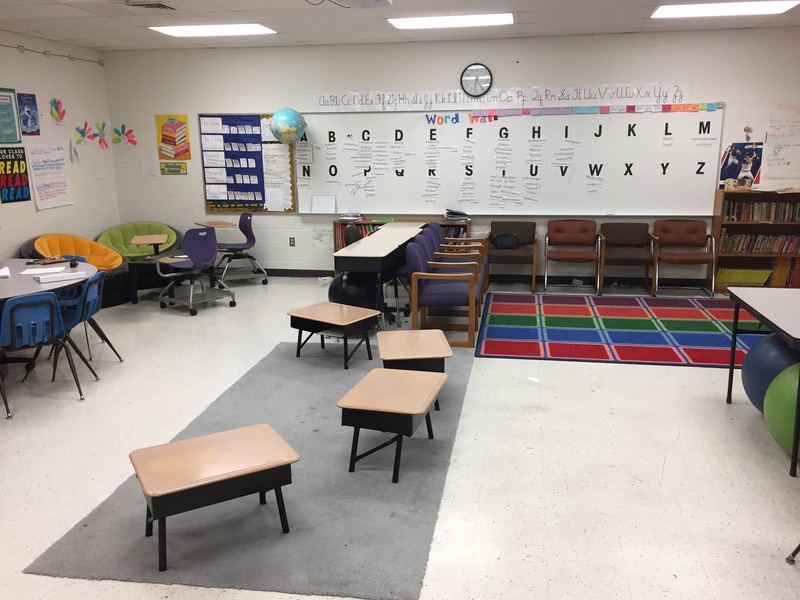 One of her first steps toward giving students more seating options was to remove the legs from a few classroom desks to make them coffee-table height. Rearranging existing furniture can go a long way toward giving your classroom more seating choices. One way to free up more space is to minimize or eliminate our teacher workspace. In fact, many teachers are getting rid of their desks altogether. Want to get rid of your teacher desk? This collection of resources will show you how others have done it. Desks in rows are fine if all we want to do is feed information to students and have them spit it back out. But a 21st century education demands more from us. We understand now that students need more than facts: Among other things, they need to be able to communicate well and work together to solve problems. Our classrooms need to reflect that. So when rethinking your classroom design, look for ways to make more of these collaborative spaces possible. Collaborative spaces can be made by pushing desks or chairs together and clearing off counters or bookshelves. 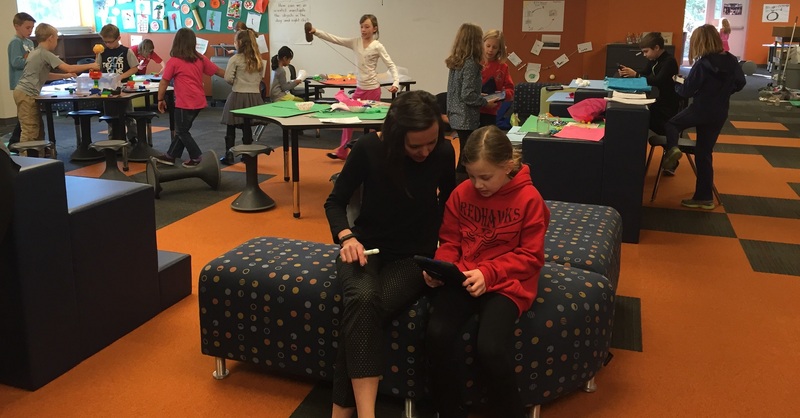 Classrooms where project-based learning and design thinking are taking the place of rote memorization need spaces where students can sketch, build, make, and prototype. That kind of work requires clear surfaces and centers where students can access all kinds of materials—not just typical school supplies. Handing over more of your existing boards is a great start, but you can add more writable spaces by purchasing inexpensive personal dry-erase boards, a free-standing dry-erase easel, or by making your own whiteboard tables or adding an extra DIY whiteboard for very little money. 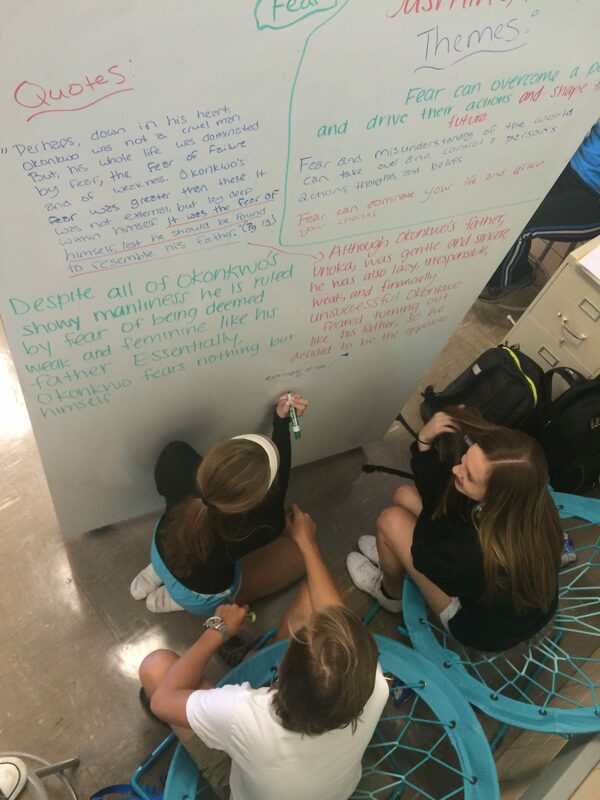 Making large writable spaces available to students tells them the classroom belongs to everyone. Thoughtful classroom design includes places where students can take a moment alone. Both Dillon and Hare happened to send their children to schools that used the Reggio Emilia approach, which emphasizes documenting and displaying the learning process, not just finished products. So they apply that philosophy to the spaces they help design, and they advise teachers to keep looking for ways to display student learning in their classrooms. Making this kind of change doesn’t happen overnight. Start by figuring out if your classroom already has the beginnings of a palette. The key is to figure out what that is, then start to eliminate some of the things that take away from the coherence of that palette in your room. “There are a ton of programs out there, like Canva,” Dillon says, “where if you take a picture of your classroom and it will tell you the color palette of your room.” See if you can identify the three main colors you’d like to work with, then start moving closer to it with wall color, storage containers, and other accessories. Warm, muted shades of red and blue serve as the accent colors in this room. 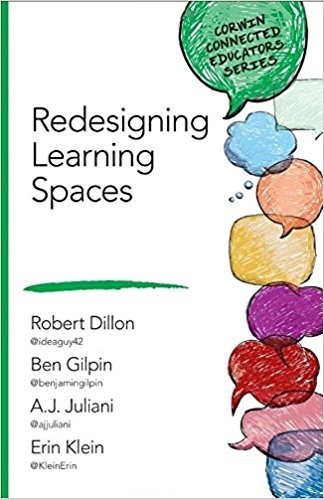 “A third of all the square feet in schools is hallway,” Dillon says, “and we don’t use that for learning like we could.” So when rethinking your classroom space, remember that you can extend learning beyond the walls of your classroom. One teacher Dillon worked with would roll two small tables out into her hallway every morning and invite kids to use those surfaces for certain activities. In addition to The Space, Dillon recommends these books for digging deeper into classroom design. Find Bob Dillon on his website at drrobertdillon.com or on Twitter at @ideaguy42. Don’t feel like you have to always create seating charts or always let them self-select. I change up the desk arrangements weekly, if not more depending on the lesson design. If it is a day that a lot of partner work (mini lessons) is planned, I ask them to choose their seat based on who is their best “learning partner.” Most choose wisely, those that do not, I move to a more successful location. On days with collaborative groups, I put names in a pile on each table pod and they choose where in the pod to sit (I still selected the best teams). And on days with guest teachers…you bet there is a seating chart…they need one. When I ask for student feedback about what they like best about class, MANY say the ability to choose seating. Thanks for this comment. I comes up a lot in my work with schools and districts around the country. Choice is often seen in an all or nothing game, and I would claim that it is a journey. It may be a journey that we are always a bit conservative with, but success in redesigned spaces comes from the teacher knowing their kids and understanding the change arc that is truly possible within a given time period. I would say that you should be looking to model choice in simple things before you move to choice in seating. You could always have them fill out a survey every week or month, or however often you want to change seating. Then ask them, who they have sat with, who they would like to sit with, and at 1 person they don’t know but would like to know. Then arrange your seating chart based on that information. You wouldn’t have to give them all their choices but could try to incorporate their wants into socializing them with people they are not afraid or shy of meeting. Eventually they’ll all get to try sitting next to each other for a period of time. I have had great luck using this idea with my 6-12th grade students. They get input but I can still help facilitate new friendships. Thank you all! Those responses were exactly what I needed to get my head around it all. Just like everything else it doesn’t have to be all or nothing – in this sense I think I already do offer a lot of seating choice in my room but just felt like I didn’t because I use seating charts/name tags. I’ve been working with a teammate to redo her classroom. This was a great read, and it gave me some more ideas. Another tip is to use the school library. Libraries are often designed for collaborative work and flexible usage. They typically have comfortable spaces for students to sit and read as well as computers and tables for group work. Check with your librarian, but they usually are happy to accommodate whole classes as well as small groups or individual students. It’s a great way to give students more flexibility. Currently, I am a student teacher who is finishing up her Master’s in Secondary Ed/ ELA (went straight through school like a complete crazy person), so I am just starting to imagine different ways I would like to organize and design my classroom. These design ideas look gorgeous, but I am just wondering, would you recommend trying something like this as a first year teacher? I know that the arrangement of desks has a lot to do with classroom management style, and as a new teacher, I want to know how to balance new ways of designing my classroom with realistic management needs. Also, I am a bit worried about the part of the post that mentions “desks in rows” are a bad thing. Is this true? Obviously, I have no clue, and I have been taught to keep desks in rows and in more heavily-structured positions to help classroom management, which is honestly one of my biggest worries as a newbie. Any advice would be welcome. Hi Paige, when we look at the idea of desks in rows being ‘bad’ , we really need to look at the idea of the role of the teacher in education. Rows of desks were great when the teacher was the holder of info (‘sage on the stage’) who needed all student eyes of him or her while giving lessons. In this day and age, students have easy access to all the info we could imagine and the role of education has to shift in order to help students develop the skills they need in today’s world – collaboration, critical thinking, design thinking, etc (search for ’21st century skills’ to read up on this)Students need to be able to move, chat with one another, use different types of seating/tables according to what they are doing, etc, so…rows of desks are no longer are that useful in a learning environment. Thanks for the reply! I am always happy for anyone to explain / give advice to me as a new teacher. I definitely understand where you are coming from, and I agree that alternative spaces and design for classrooms sound interesting and obviously work great for some teachers. I am just concerned about realistic classroom management techniques in relation to this topic. I do not have my own classroom yet, but I think I would be too scared to try something like this when my own confidence in managing a classroom is probably less stable than a veteran teacher’s would be. All of the advice I have been given by teachers in my practicum placements ( in urban, suburban, and rural settings) has mainly consisted of how I need to be highly-structured in classroom organization when I first start. So, maybe this post is a great idea for the future, when I feel more secure in my classroom management skills. Thanks for your comments. The desks in rows are usually a symbol of a teacher led class, but the rows themselves aren’t the issue. Moving to a more flexible environment should be coupled with a shift in control of the classroom. Classroom control or management is different an orchestrating learning. As a first year teacher, I think that it is worth exploring all of these areas, gaining feedback, and iterating quickly. It will allow you to grow into a master facilitator more quickly. This is so great and I wish so badly I could make it happen in my classroom! The problem is that our classes are over-populated. I teach high school and we have 40-45 kids in each class and the only way to make all the desks fit is to have them in rows. I am frustrated because I know that learning and collaboration work better in different arrangements but it’s not very feasible for me at this point! I’ve even asked for tables instead and been denied. Any suggestions would be great! Bob will likely be jumping in every once in awhile to reply to comments, but in the meantime, you might want to reach out to him via Twitter @ideaguy42. Also, check out his reply to Paige – it’s a nice reminder that flexibility is not as much about desks being in rows as it is about a shift toward student-centered learning. I’m inspired and challenged. As a science teacher I’ve come to recognize that these showcased classrooms are often the humanities classrooms– are the living rooms of our our lives while my science classroom is the kitchen, often with dishes in the sink. I’d love to see examples of “updated” middle school science classrooms, where the space is multipurpose for both table top labs and lessons. What clear, concise advice! 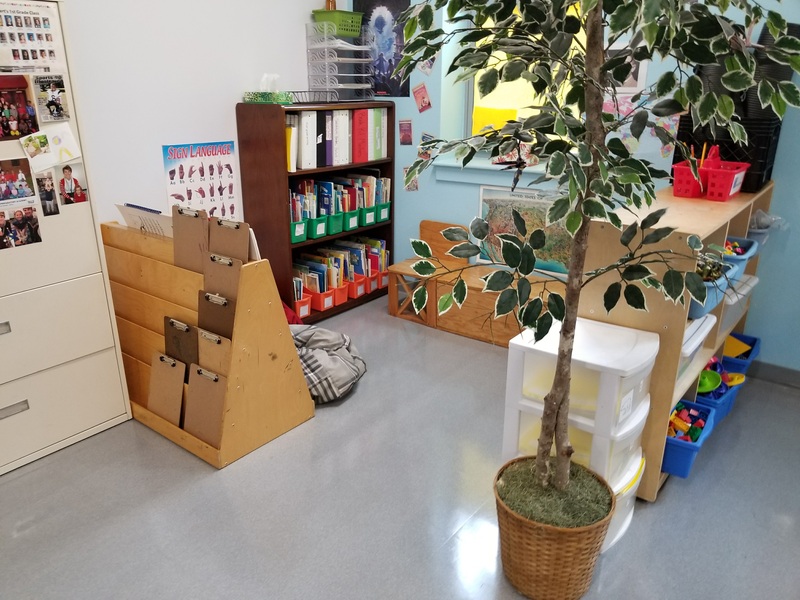 Also, having the class create spaces or centers through changing formations, for example, moving desks or tables to create areas for art centers or collaboration or literary teams. When the allotted instructional time is completed during the class period–return the furniture to the original places. And the students get some physical activity, too. Why is this so popular? What happened to having a welcoming / inviting classrooms? What’s the deal with wanting a lounge? I hear about teachers dumpster diving, purchasing crappy furniture, and spending over $300 on random items. Why trade uncomfortable desks for uncomfortable IKEA seating? Some of these teachers are trying to be “cool” and aren’t teaching curriculum / standards because they spend all their time rearranging furniture and recreating seating charts. Does anyone else find all this lame? Where’s the research stating this improves learning? 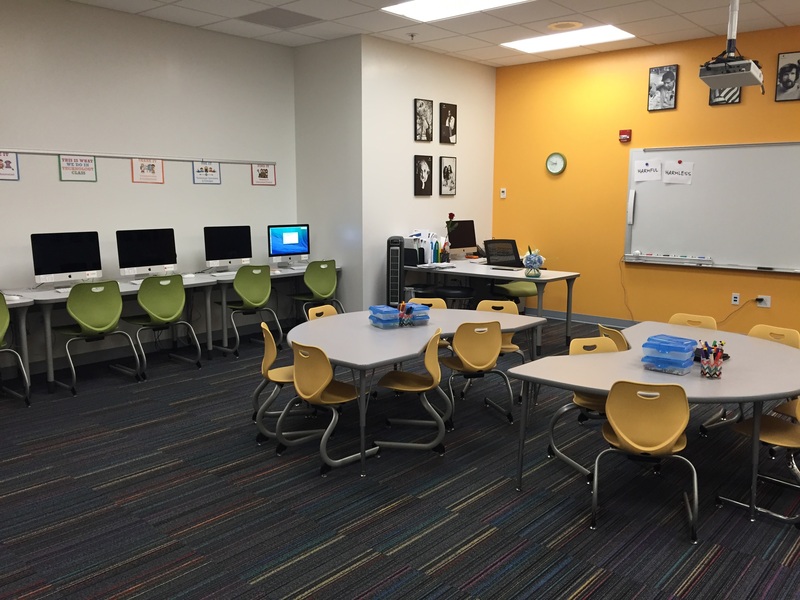 Flexible Seating and Student-Centered Classroom Redesign and 10+ Tips for Using Brain-Based Methods to Redesign Your Classroom. Thanks for the inspiration. I’ve made some changes to create different spaces for quiet work and collaboration in small & larger groups. I can already see the students taking more ownership of the space. I’ve never had to remind students so often that class has ended, and it’s time to go! I’ve just sent out my first questionnaire to get feedback. Another resource for teachers who question the validity of changes like this to the classroom environment is The Third Teacher. I had been thinking about waiting to survey my students before completely setting up my room this year. This article has validated many of my ideas, and has given me many more ideas as well. Sometimes as adults, we think we know what kids find appealing, but we are not always right. What better way to find out their opinions than straight up asking for them! Thank you! When kids have a stake in the structure of their classroom, engagement and behavior improve. Setting up a classroom is also an activity rich in teaching opportunities for all students. I found it very interesting that a good classroom design changes up the seating arrangements in order to let the students “own the classroom”. My daughter is going to be starting the 4th grade soon, and she is concerned that she won’t be able to interact well with her classmates. I will be sure to suggest to her that she looks for a desk arrangement that is very inclusive of others! I love your ideas but my admin. would have a fit if I painted tables or move desks into the hallway. Hi Carol! Every school is different, but maybe there are other ideas in the post that you can put in place to impact learning? This is the worst idea i have ever seen I have no more space in my room to walk! I hate the DIY wall nobody writes on it and it is not interactive or fun to the kids. I got a circle table and there is no room to put anything on the table and there project or worksheet falls right though the hole in the middle. Hi Mrs. Patterson! Which of the ideas here are you referring to? 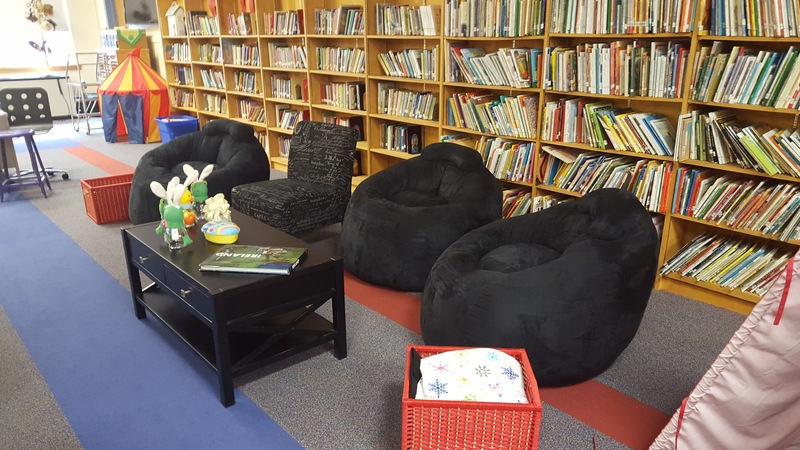 Most of this post suggests general ideas like asking students for suggestions, cutting back on unnecessary decoration and furniture, and creating spaces for quiet and collaboration. If circle tables and DIY walls aren’t working for you, I would suggest you talk with your students about other ways to make the room work for you.